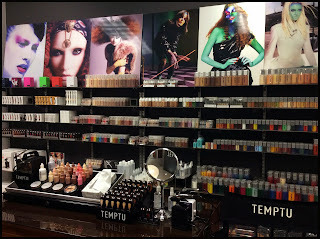 The Airbrush Makeup Guru: A visit to the TEMPTU Airbrush Makeup Showroom in LA! 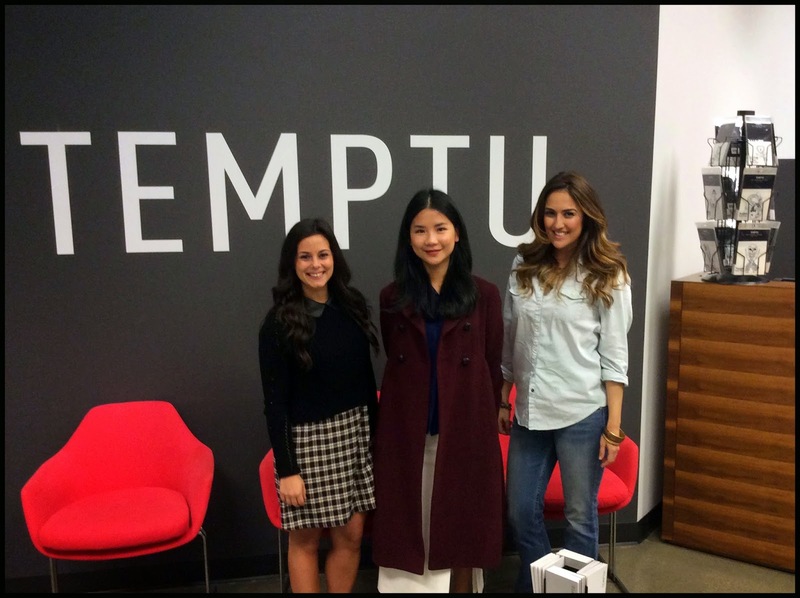 A visit to the TEMPTU Airbrush Makeup Showroom in LA! 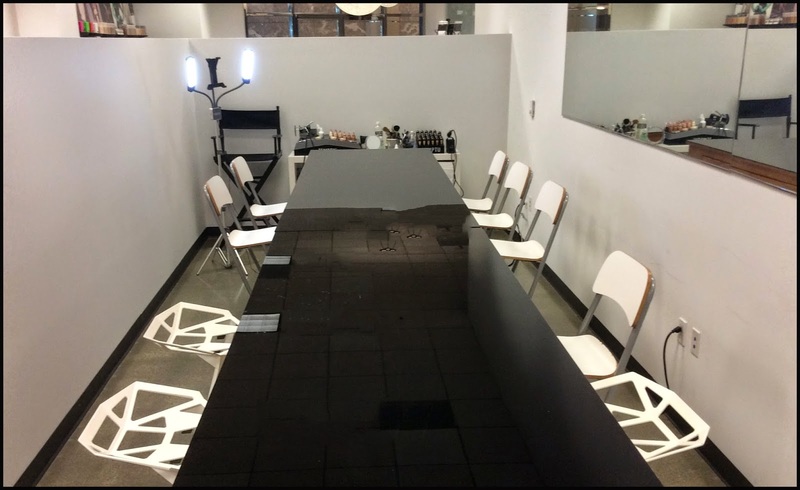 Last year we were fortunate enough to visit the Temptu NYC Showroom, where we had a wonderful time right at the heart of this amazing brand. If you have browsed these pages before or if you have an even remote interest in airbrush makeup, you will know that Temptu is the world leader in silicone based airbrushable makeup, and the producer of an amazing line of top quality products that have become standards for both the most demanding professionals and the consumer market at large. 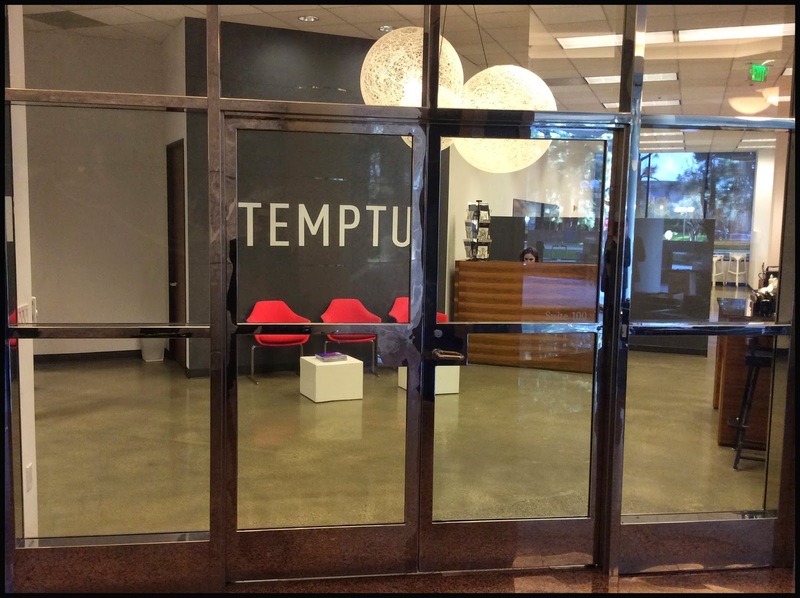 The Temptu LA showroom at 2381 Rosecrans Avenue, El Segundo, CA 90245, is ideally located for travelers as it is just minutes away from the LAX airport. In keeping with its image of streamlined elegance and friendly efficiency there are no flashy signs visible from the street, but once you get in the inner court and park your car you will not be able to miss the imposing sign behind the glass doors of its ground level premises. We were welcomed by the lovely Francesca Iodice from International Accounts, who kindly gave us a tour of the whole operation. The floor has a mostly open plan that allows you to take in almost everything that's going on at a glance. If New York hosts the creative headquarters of the company, this is where the Customer Service is based, and you can see them right there as they assist the many customers both on line and on the phone. As a walk in customer however you will not be in the least disappointed by the elegantly streamlined and ample premises, and of course by what I call the Wall of Delights, a massive display of all of Temptu products ready to be shopped and browsed for once with your own eyes rather than through a computer screen. There are also posts where you can test all the makeup, or rather have it tested on you by the expert hands of Temptu's own master makeup artists. We were lucky to meet the very Jackie Fan, Global Education and Artistry Manager, a wonderful makeup artist that we will have the pleasure of interviewing on these pages very soon. Jackie is also responsible for many of the courses that take place right here in Temptu's well organized training room, where both beginners and advanced makeup artist can come and learn how to make the most out of the technology and cosmetics offered by this brand. Jackie and Francesca are of course sworn to secrecy as far as new products are concerned, but from what little information we could pry we are happy to reassure you that innovation is going forward at full speed at Temptu, and that we have a lot of exciting news to look forward to. As for us, we were very happy to touch base with once again with this wonderful brand, and to have a chance to purchase some more products furthering our plans to complete our Temptu makeup collection. As great as the internet is, there is nothing like being able to talk about products in person with the best experts and collaborators of a brand. Our chat with Jackie opened up our minds even more on the Pod line, and we just could not resist the amazing full collection of True Color lipsticks, the newest addition to the makeup offering. We are in the process of editing a video showcasing these amazing products, and we will share our thoughts and some very useful information on them in about a week's time. 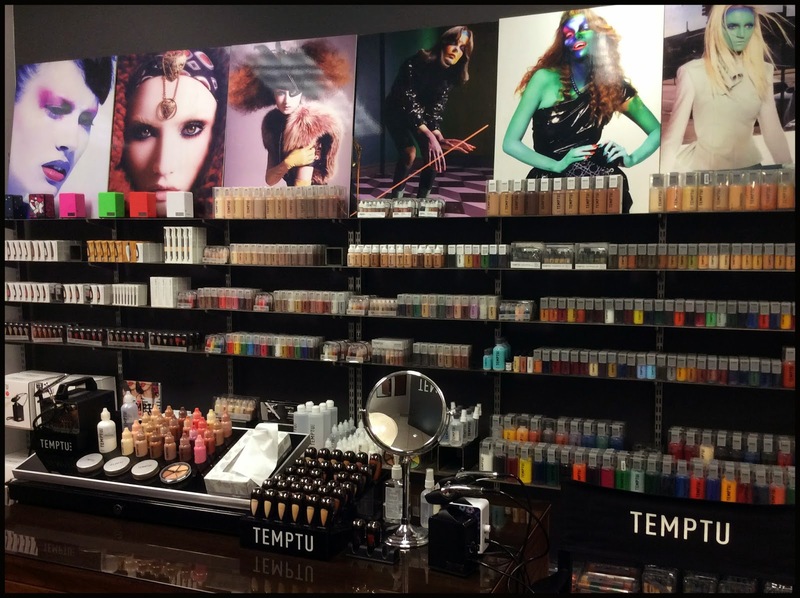 If you are visiting LA or simply travelling with a decent layover at its airport you simply cannot miss the opportunity for a visit to the Temptu LA showroom, another corner of Airbrush Makeup Heaven!